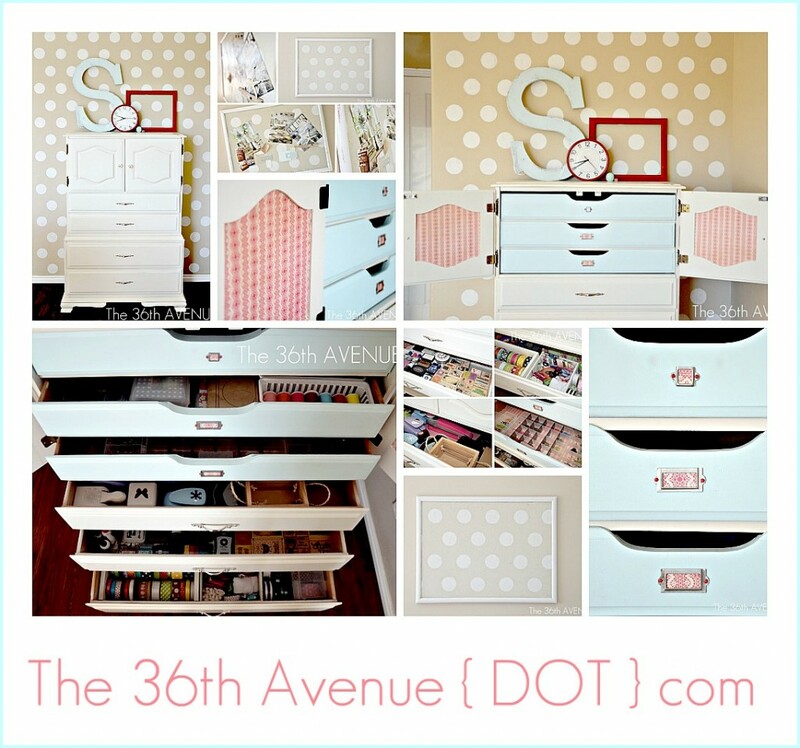 Today I am going to show you a quick makeover that I gave to two of my Craft Room Walls. 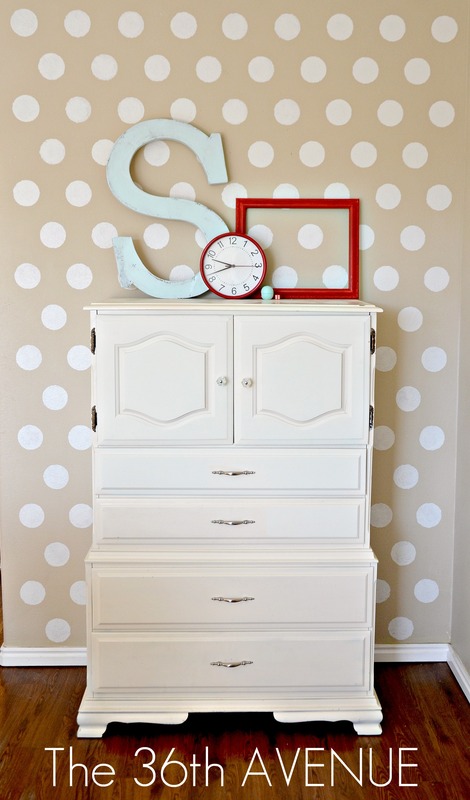 All you need is paint, a stencil brush and Cutting Edge Stencils to do this project. 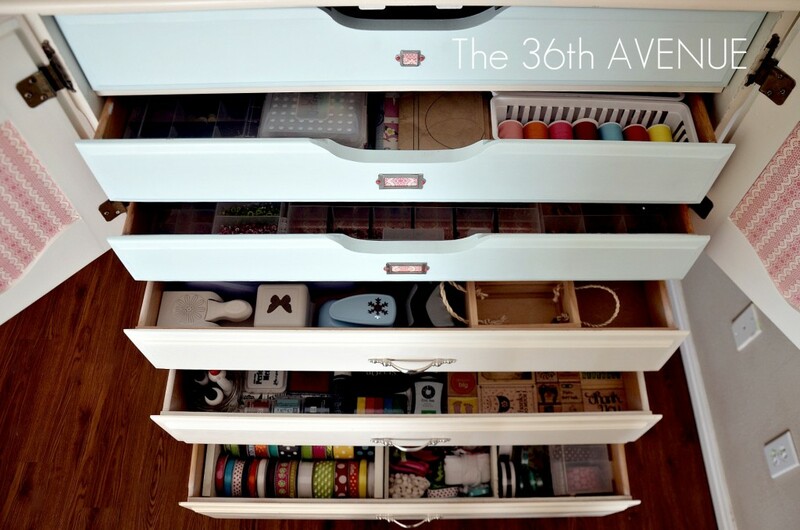 The inspiration behind my craft room started with this wall. 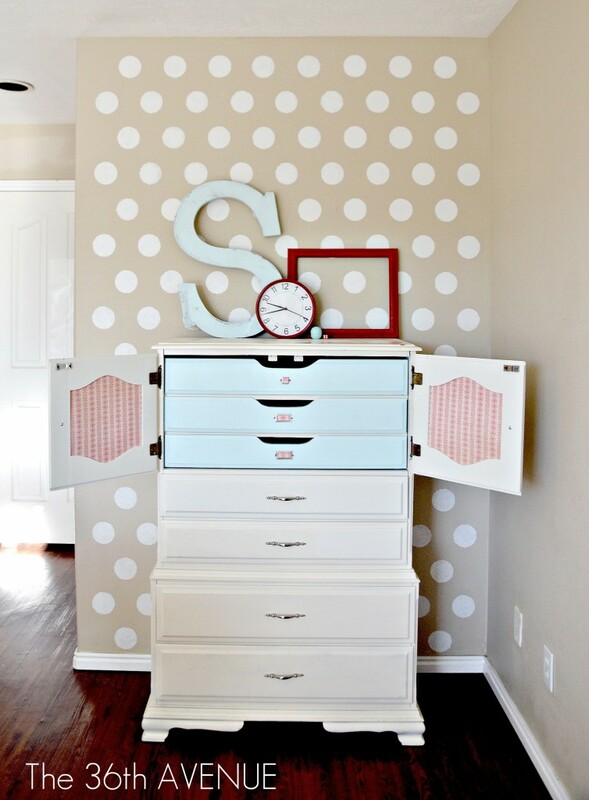 I was amazed of how simple the process was of using the stencil, and how clean each polka dot came out. It took me just a few hours to finish each wall and this was my very first time ever doing such a large surface. After I was finished the first things that came into my mind were the 50’s. 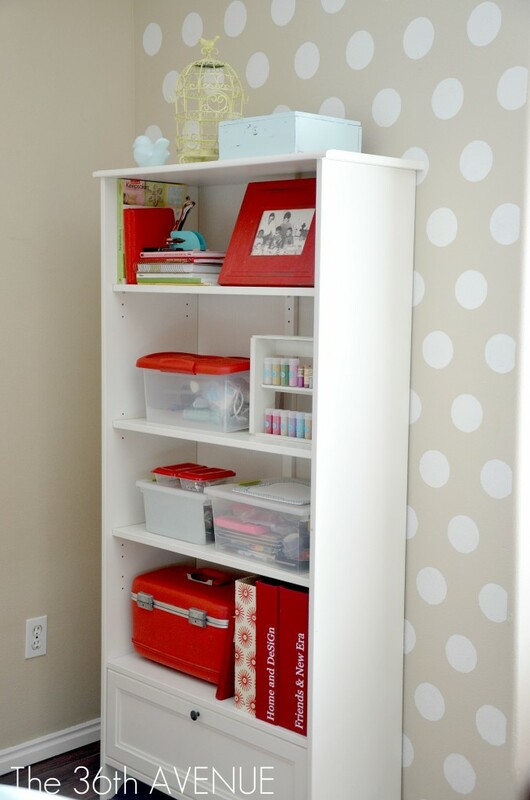 I love the retro feeling that the polka dots brought to my wall and to the entire space. From there I knew there was no way back… I was going with that style all the way. So I gave my little dresser some retro love. Would you ever guess that a simple stencil would push me this far? If this wall inspired me so much…. …what would happen if I did another one ? and a SUPER GREAT GIVEAWAY! So I am really excited to share with you the chance to win your own stencil and see the inspiration behind your own wall. Don’t be scared you can do it! Keep in mind that you can use the stencils for smaller projects as furniture and pillows. Click here to watch a video with simple instructions of how to use Cutting Edge Stencils. PreviousCraft Room: My Polka Dot Pin Board. 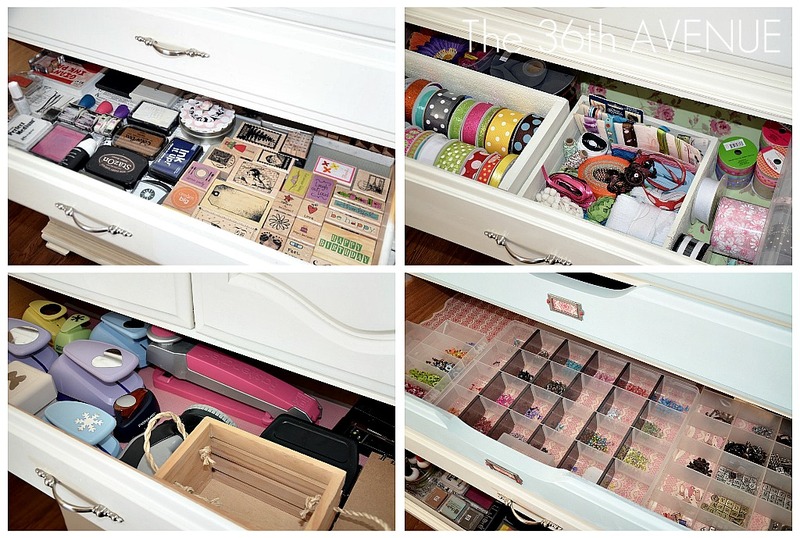 I stumbled on your site through Pinterest and have fallen in love! My favorite stencil is SAKURA AND BIRDS WALL STENCIL. But there are so many more to love. I’m in the process of pulling down old wallpaper in my foyer and wasn’t sure what I was going to do with the walls. Now I know! Stencils!!! Thanks so much. Casablanca, Kobe and Rabbat are all top choices, have no idea what I’d pick it only one!! I’ve LOVED Cutting Edge on Facebook! !